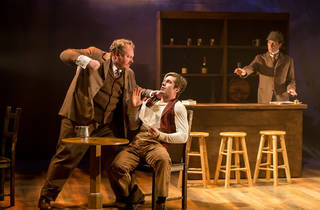 Sir Arthur Conan Doyle teams up with his best-known character to right a wrong in this generally charming new musical. 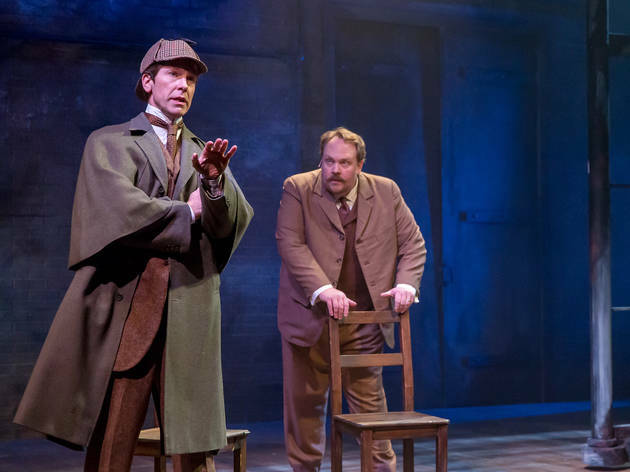 In 1893, six years into his literary existence, Sherlock Holmes was killed by his own creator. 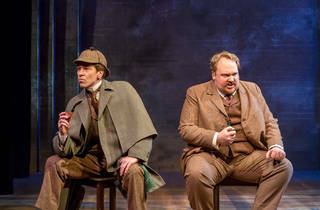 Arthur Conan Doyle, feeling that his detective character's popularity was eating away at his time for other writing, threw Holmes off a cliff with Professor Moriarty at the end of the short story "The Final Problem." 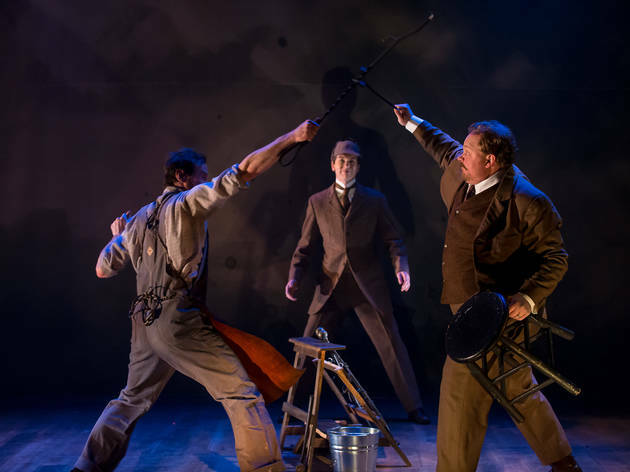 A public outcry ensued; eight years later, Doyle relented and brought Holmes back to life with The Hound of the Baskervilles. 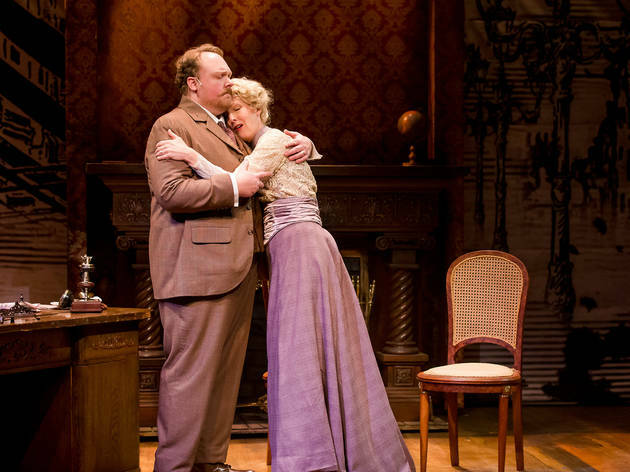 The new musical The Man Who Murdered Sherlock Holmes, conceived by the Christmas Schooner team of John Reeger and Julie Shannon and completed with songwriter Michael Mahler following Shannon's 2012 death, offers a fanciful take on what happened in the intervening years. 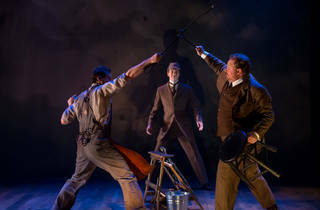 Though the show begins with Doyle's killing off of Holmes and the resultant backlash, the other propellant of its plot comes from a later episode in Doyle's life, which the authors fudge for narrative convenience: In 1906, he lent his support to a campaign to exonerate George Edalji, a young man of partially Indian descent wrongfully convicted of maiming horses in rural Wyrley, going to the length of investigating the evidence himself. 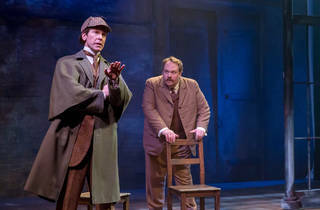 The amusing conceit of the musical is that he was assisted in his investigation by Holmes—not a creation of Doyle's after all, but a denizen of another plane whom Doyle had the gift to channel onto the page. 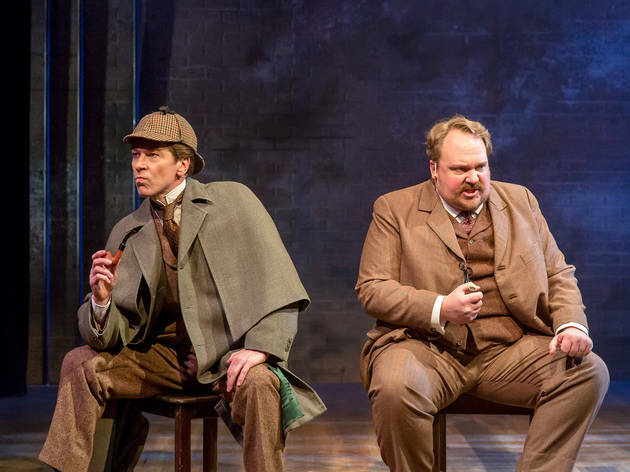 And thus Doyle (Michael Aaron Lindner) finds himself in a Sherlockian mystery of his own, accompanied by a Sherlock (Nick Sandys) only he can see and hear. It's a clever notion, and one that comes with a pleasant score by Shannon and Mahler (it isn't indicated which songs belong to which writer) and a good number of solid gags. 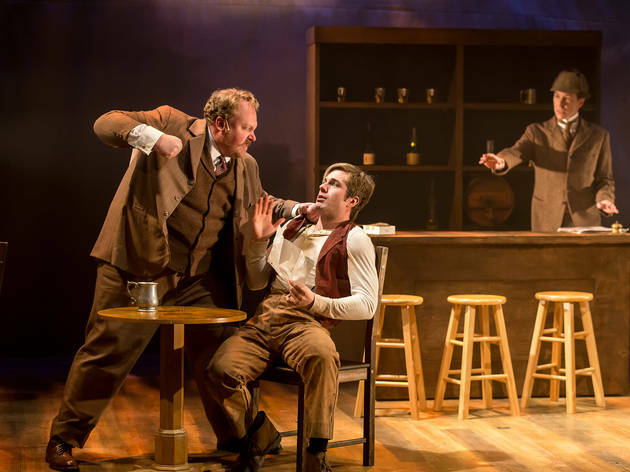 Director Warner Crocker's production sports a strong cast and keeps the action moving along at a decent clip, though it's visually rather drab, as if scenic designer Scott Davis and costume designer Robert S. Kuhn were instructed to stick as closely as possible to a palette of browns. Mercury Theater Chicago. Book by John Reeger. 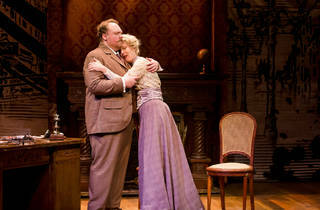 Music and lyrics by Julie Shannon and Michael Mahler. Directed by Warner Crocker. With ensemble cast. Running time: 2hrs 15mins; one intermission.